These were commuter socks. Inspired by a lot of beautiful stripy socks around including Sabs, Linda, and Siow Chin. 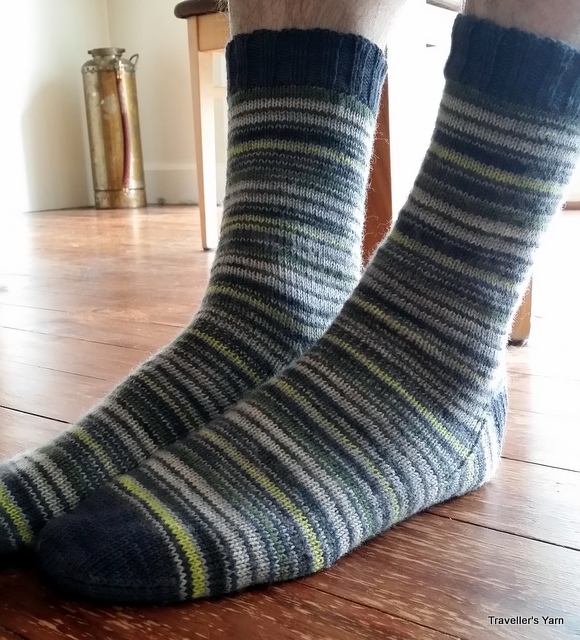 After quite a few years of knitting socks, I think that the Regia promise of 10 years is a reasonable one – these socks are 6 years old and are still going strong. I only found one skein of the Regia at Spotlight when alerted (I think by Donna) to the fact that it was on sale there for a ridiculously low price. I think I paid $1.70 for one 50 gram skein? The Wollmeise leftovers from these socks padded out them out. I will be very interested to see the relative wearing properties of the two yarns. The dog decided to add his foot for scale. 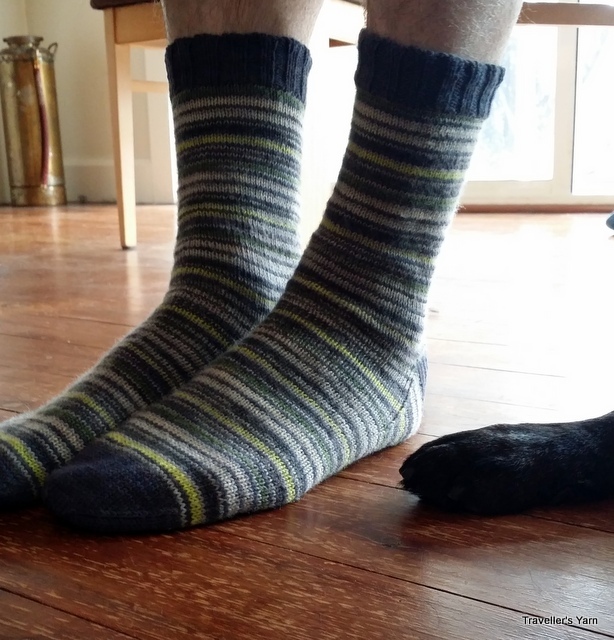 Speaking of Regia – I am now knitting socks using the first range of Arne & Carlos Design Line. They are the prettiest faux-isle patterns that I have seen to date.